Skippy the Bush Kangaroo was a popular Australian television series for children produced from 1966 to 1968. Ninety-one 30-minute episodes were made over the three seasons of production. Although at the time of first screening Australian television was still in black and white (colour TV broadcasting did not begin until 1975), the show was shot in colour on 16 mm film to increase its international marketability, most notably in the United States and Canada, where it aired in syndication between 1969 and 1972. The star of the show was Skippy, a female Eastern Grey Kangaroo. Skippy was a pet owned by the son of the Head Ranger of the real Waratah National Park, based in Ku-ring-gai Chase National Park in northern Sydney, and the stories revolved around the park, its creatures and dangers and their adventures in the Australian bush. The series was screened in over eighty countries and its theme tune, composed by Eric Jupp, is one of the best known and most recognisable Australian tunes. The series was revived in 1992 as the short-lived The New Adventures Of Skippy using an entirely new cast including Andrew Clarke, plot and location with several children as the stars. This version also aired on Animal Planet in the United States in 1997. 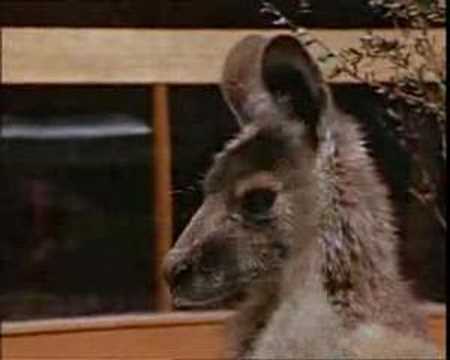 The original series was also parodied in a recurring sketch as part of the British comedy series Goodness Gracious Me under the title “Skipinder, the Punjabi Kangaroo”: the parody redubbed scenes from the original Skippy. Australian sketch comedy series Fast Forward also frequently parodied Skippy, with Michael Veitch playing Sonny, whose head alone was visible, alongside an obviously fake stuffed kangaroo, often with unpleasant intentions toward his younger human companion. More..